Erico Caddy® Support box features steel construction and pre-galvanized finish. It offers an easy method of supporting an electrical box from lathers channel. It has built-in thread impressions that eliminate the need for nuts and is 14-hole vertical mountable. 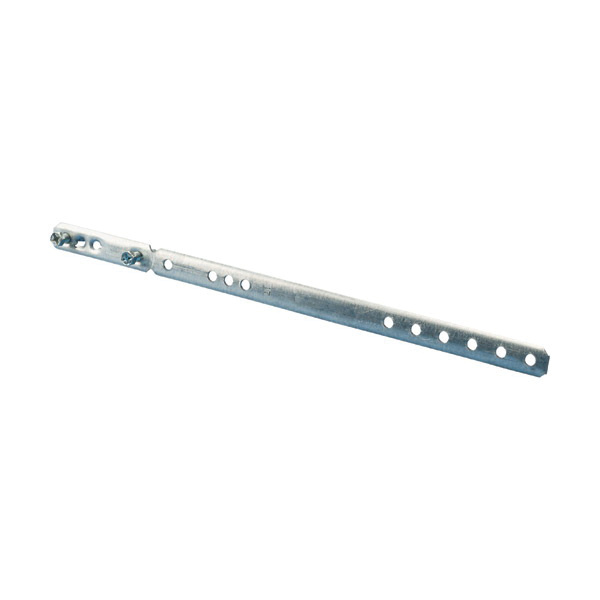 This support has multiple pre-punched holes that permits for box height adjustability and comes with screw and nut.